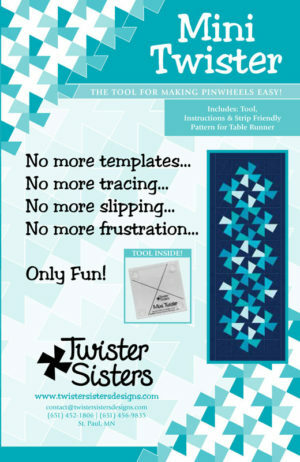 Frame 24″ or 36″ panels or large prints with pinwheels using the Mini Twister tool. 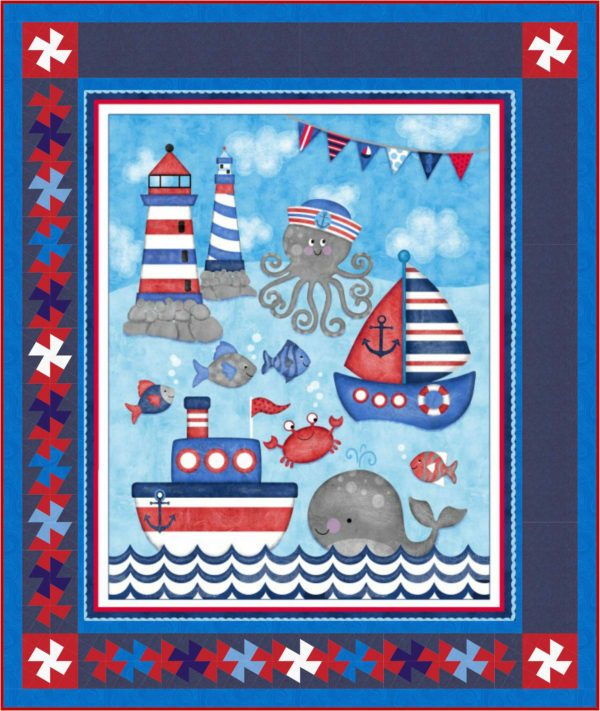 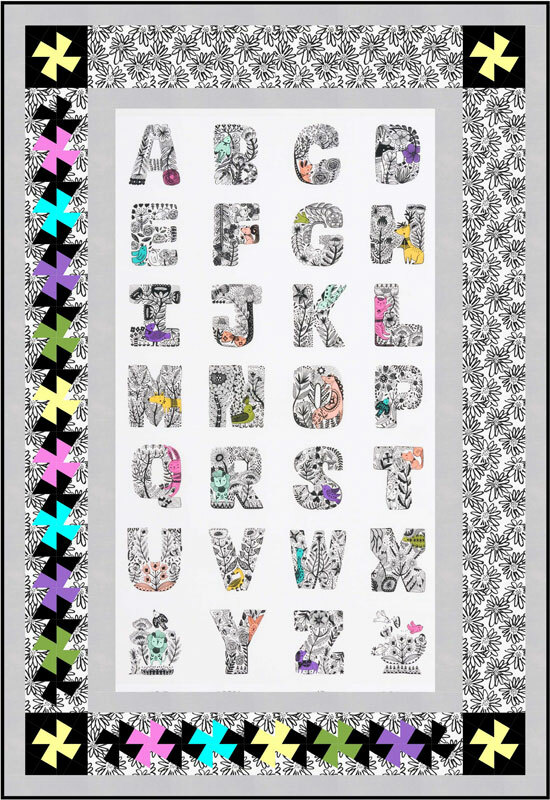 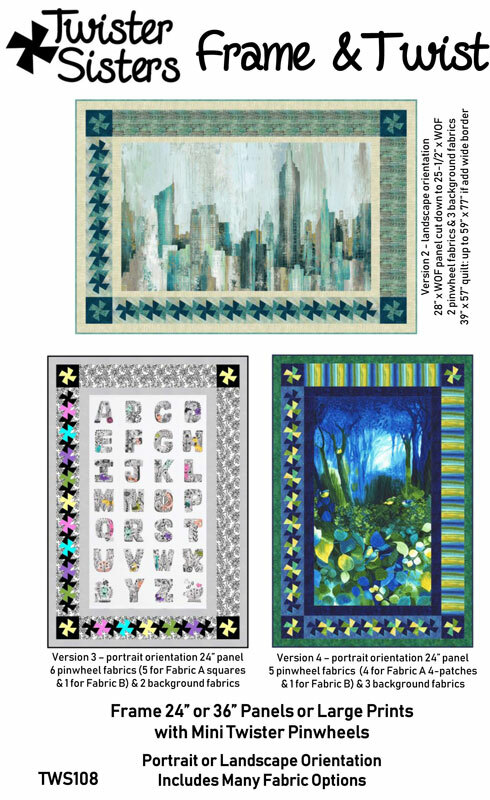 This fun and versatile pattern includes many options and versions: use portrait or landscape orientation panels, make regular pinwheels or 4-patch pinwheels with few or many fabrics, and choose one or multiple background fabrics. 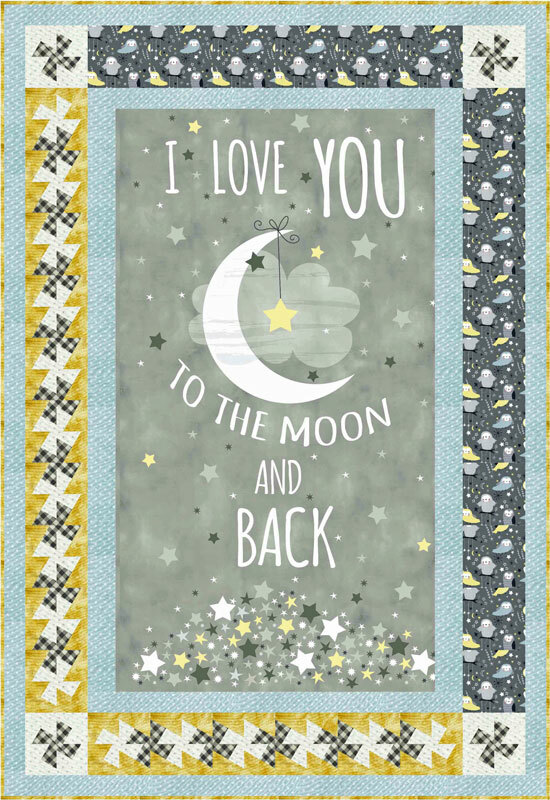 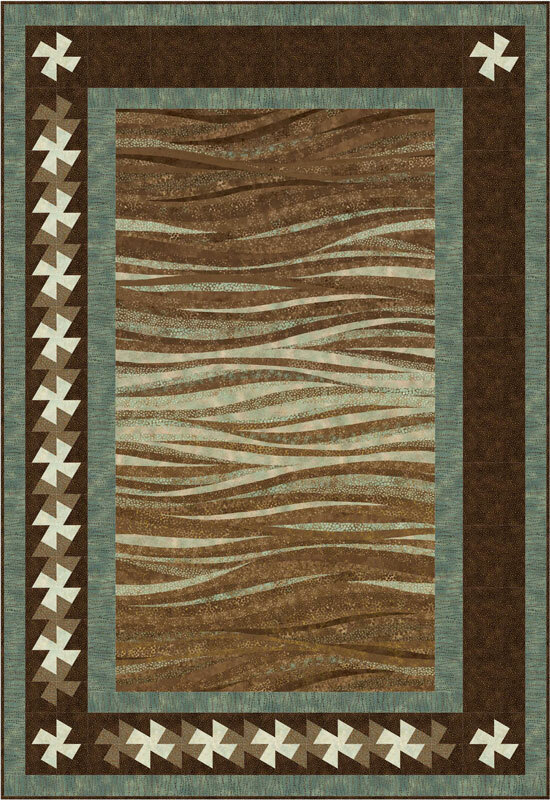 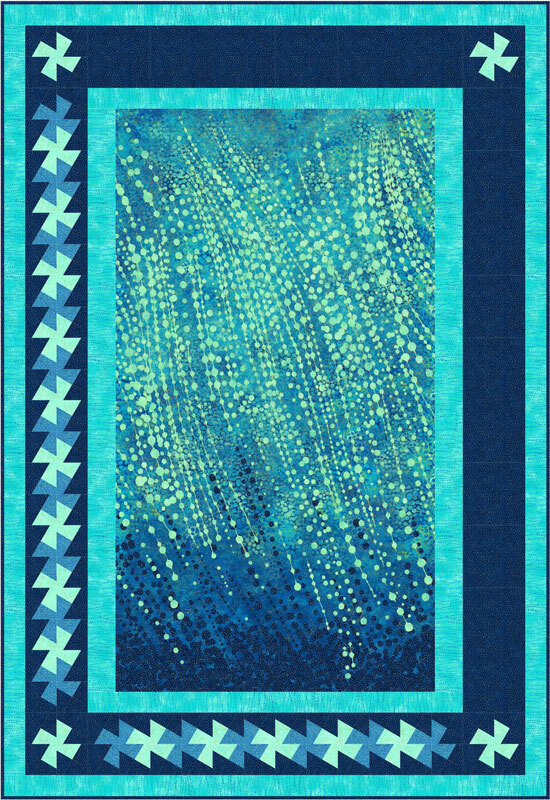 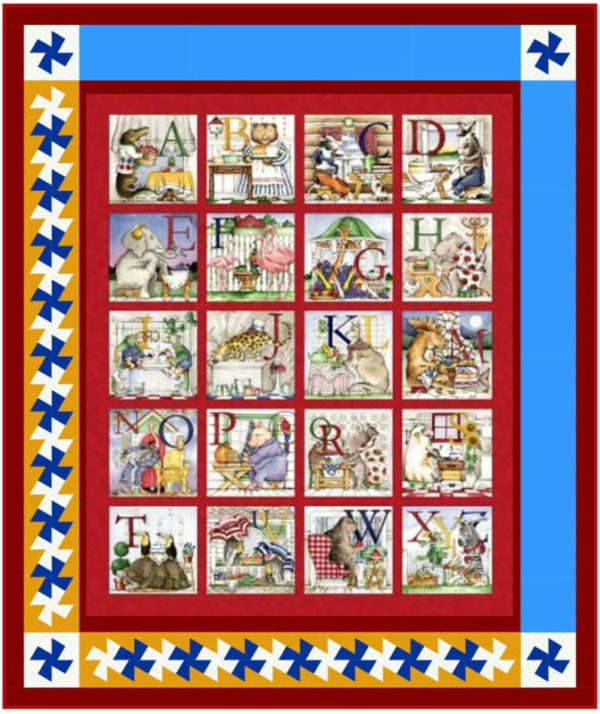 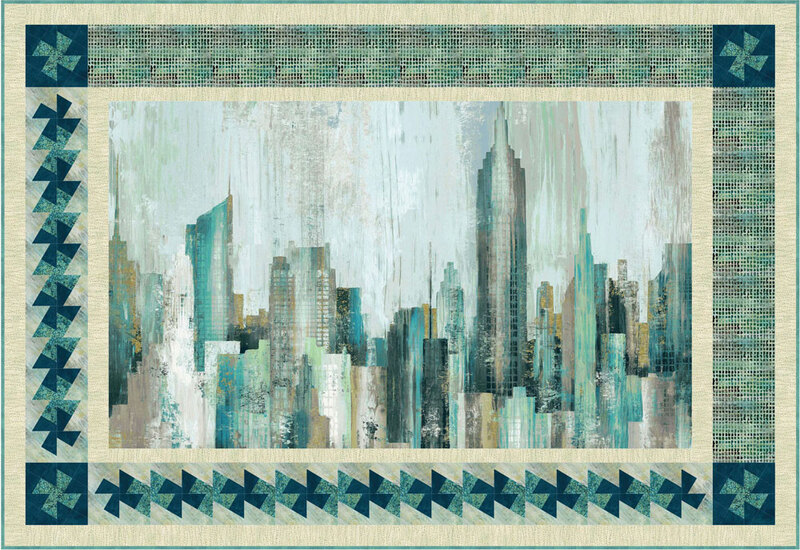 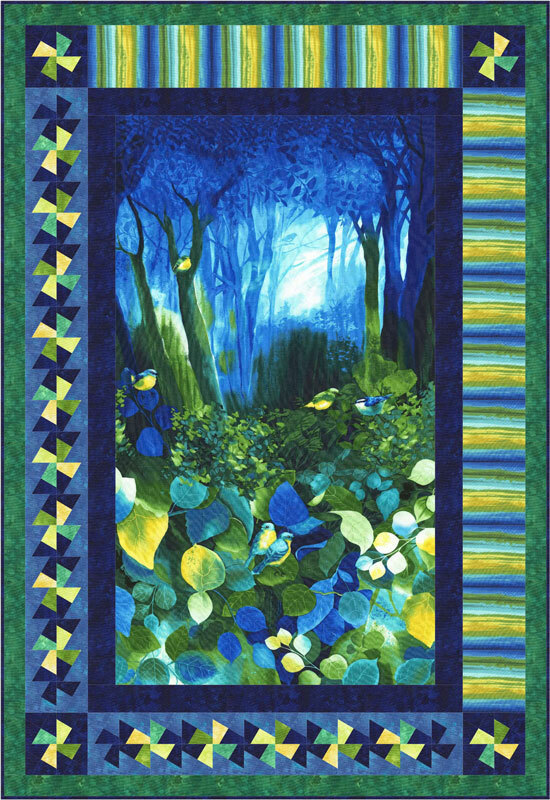 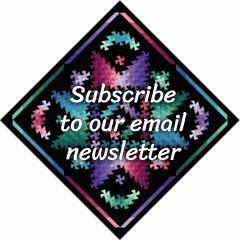 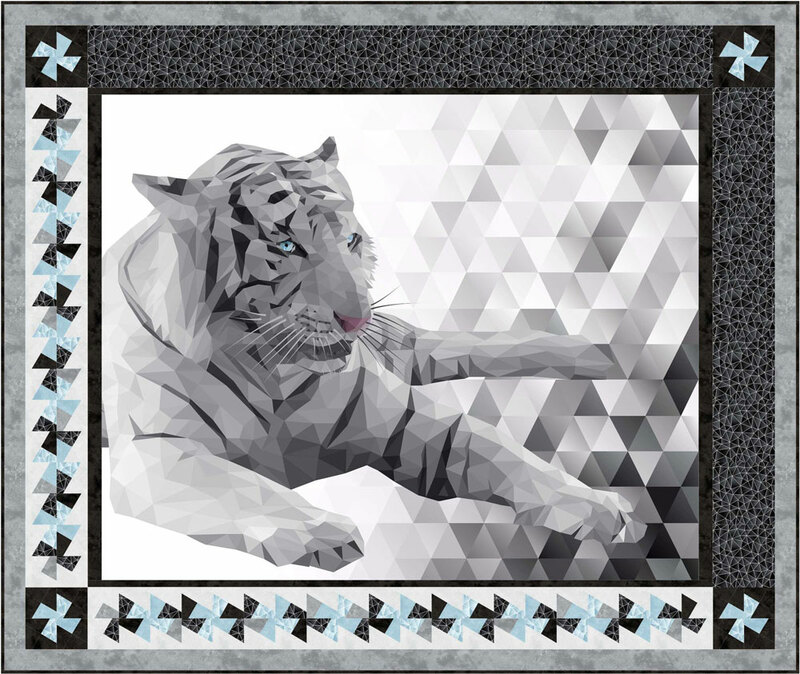 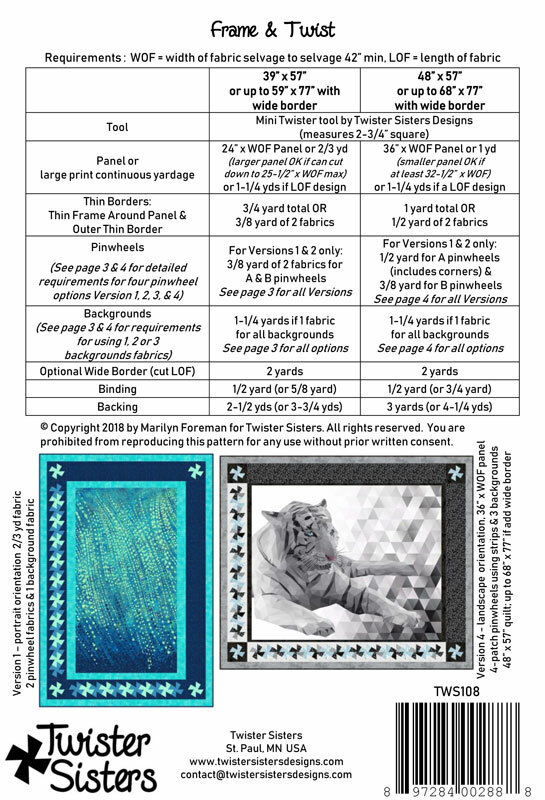 Great as a wall hanging, baby, or throw quilt.